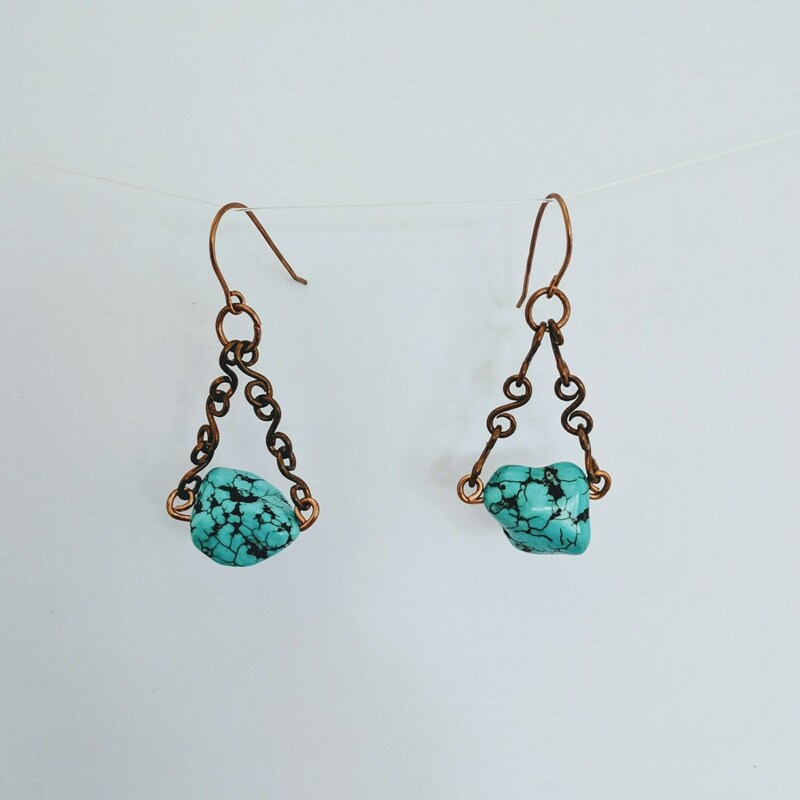 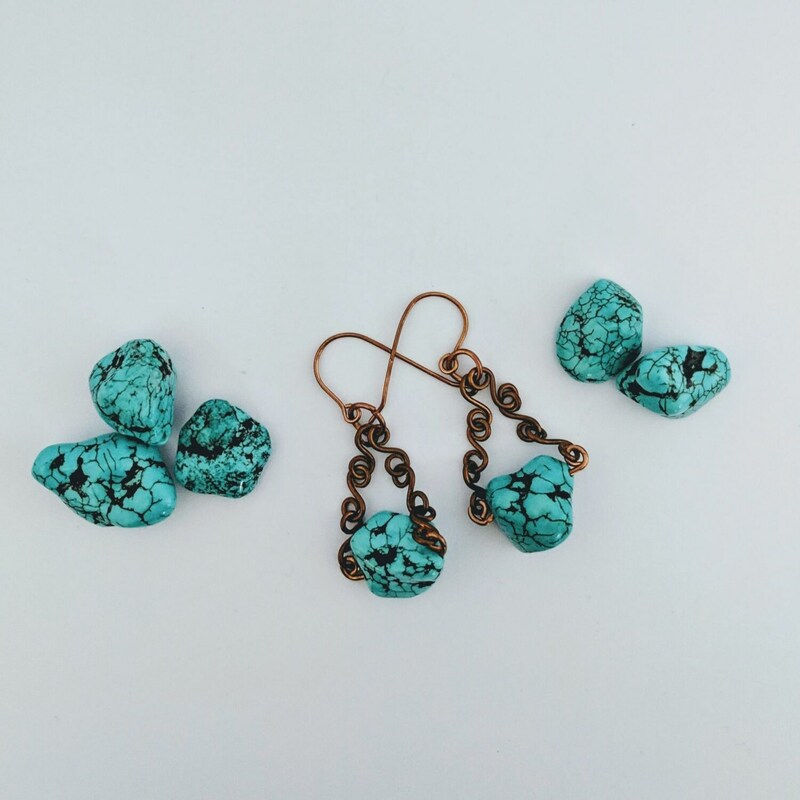 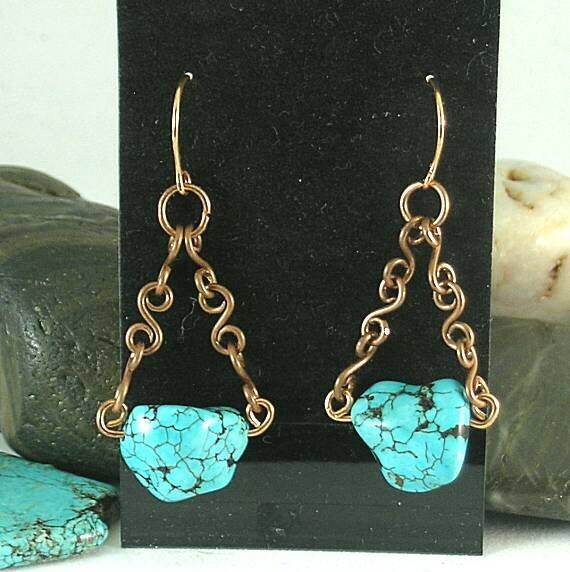 These earrings are made up of turquoise nuggets (approx. 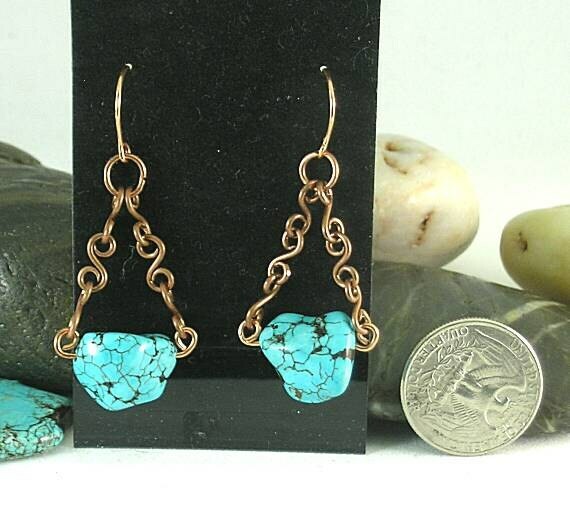 16mm) hanging from handmade pure copper "s" links. 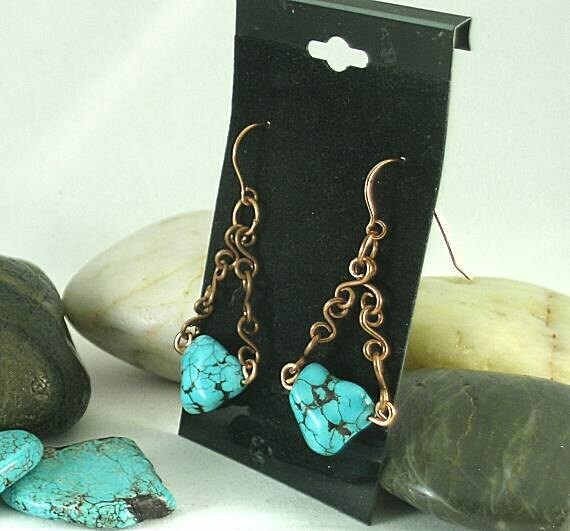 They are attached to matching handmade ear wires. 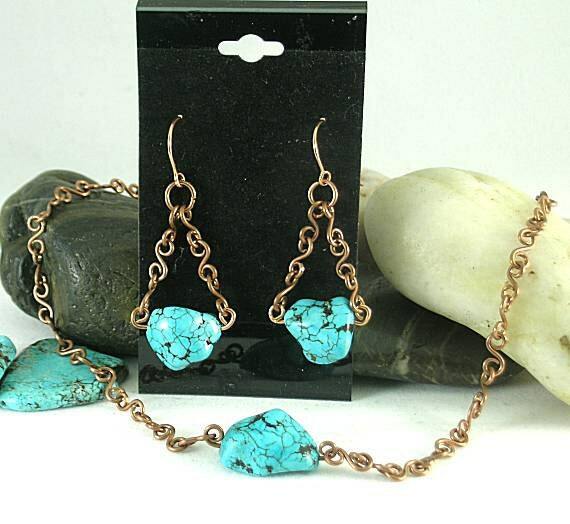 Overall they measure approx. 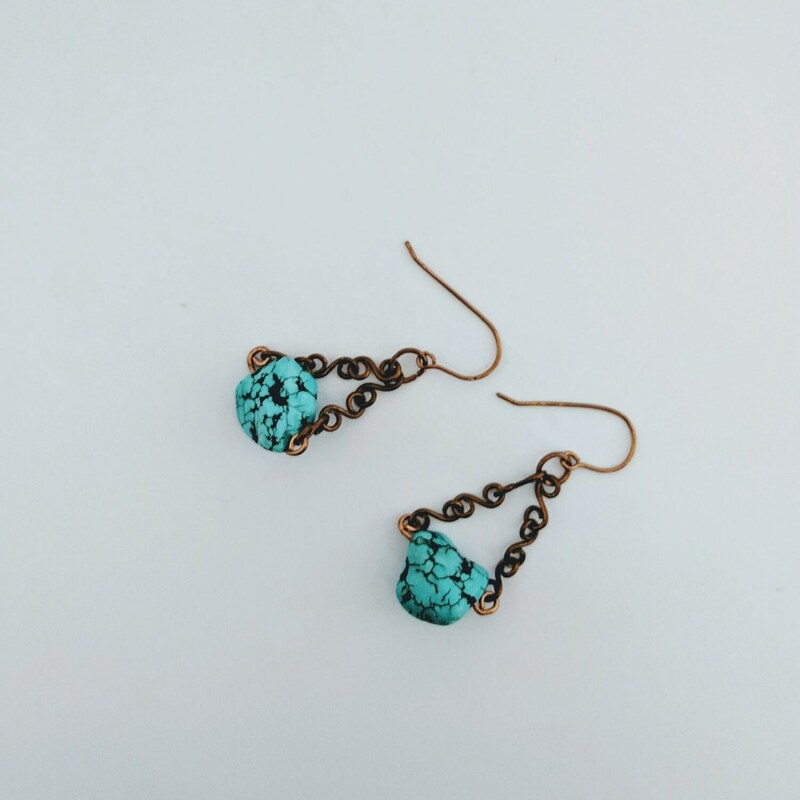 2" in length from the top of the ear hook to the bottom of the nugget. 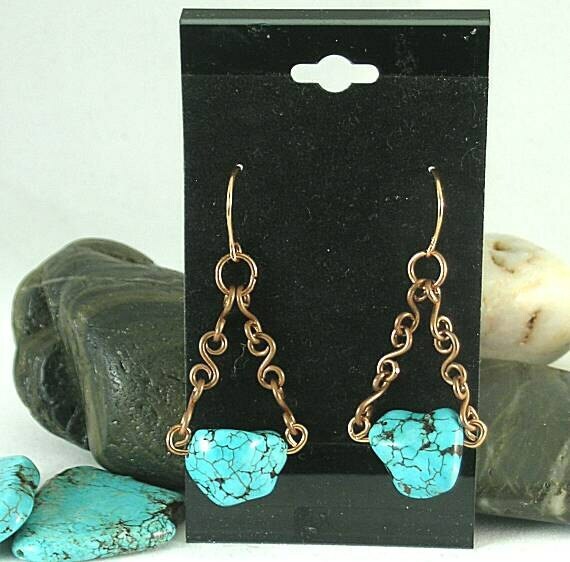 Shipped on a velveteen earring card.